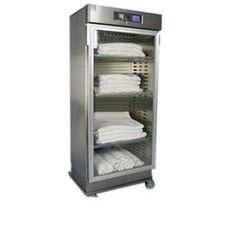 Steris Amsco Blanket & Solution warming cabinets are designed to store and warm sterile surgical irrigation solutions, linens, and blankets to programmed temperature settings for patient applications. 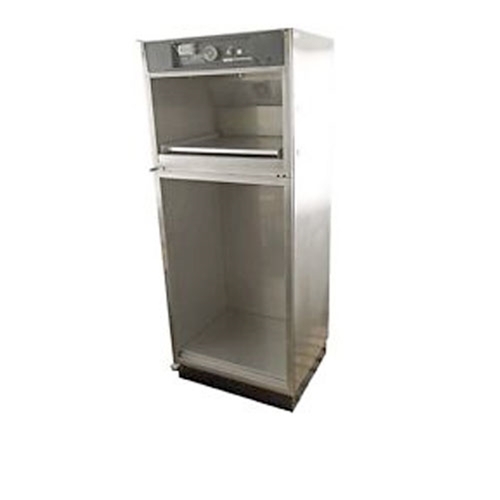 Cabinets are available in single- and double-compartment models, in 18 (457 mm) or 24 (610 mm) depths, and as either freestanding or recessed units. 30” Wide x 20.5” Deep x 75.75” High Top Chamber: 27”x 17” x 14”.